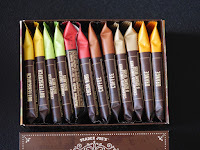 Trader Joe's (Monrovia, CA) has been offering collections of individually-wrapped dark single origin bars, as well as chocolate bars with flavor inclusions, for several years. 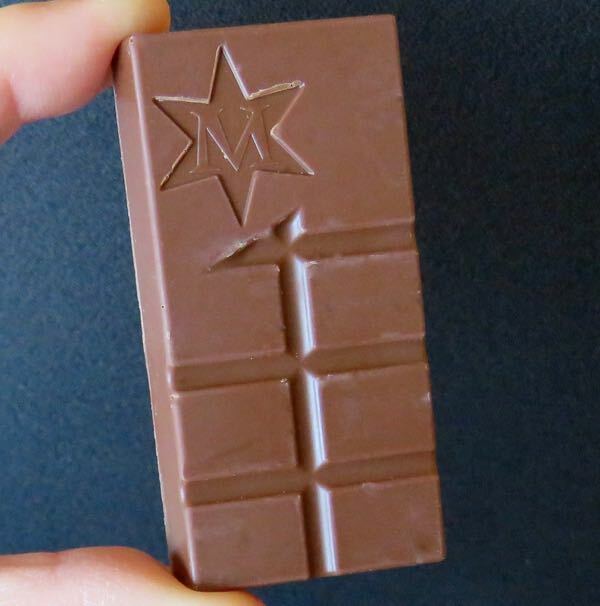 These dark (or milk) bars are great for a group tasting experience, or for just one person. 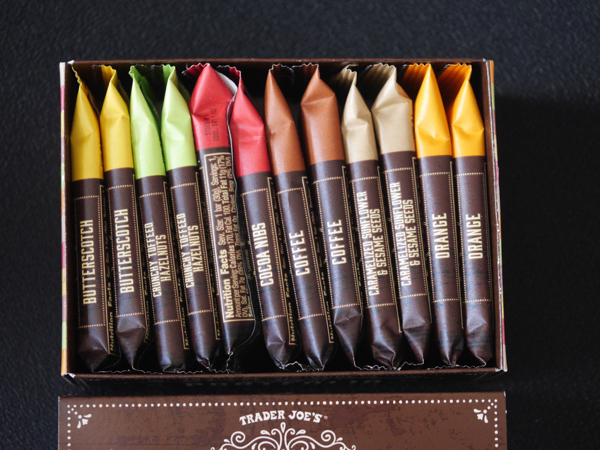 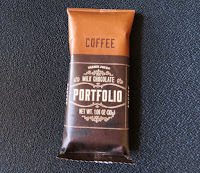 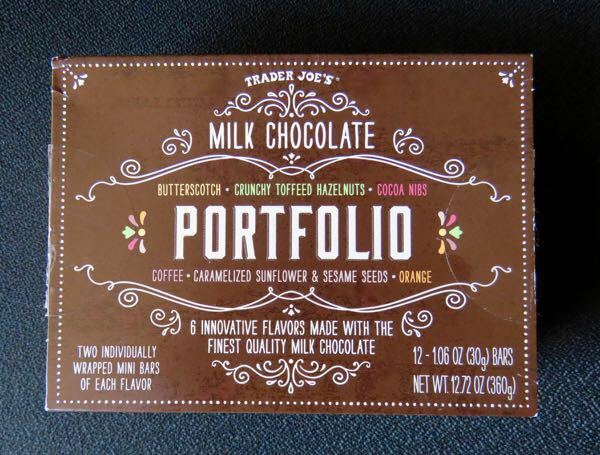 This past year's Trader Joe's Milk Chocolate Portfolio (Made in England) contained 2 each of 6 different flavored bars (12 small bars total); and it included this Coffee bar. Today's Coffee milk chocolate bar contained authentic coffee flavor, making the milk chocolate seem a little darker and richer. 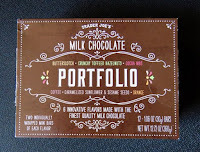 The base chocolate, sugar and vanilla also had a slight toffee flavor, creating a tasty finished blend. 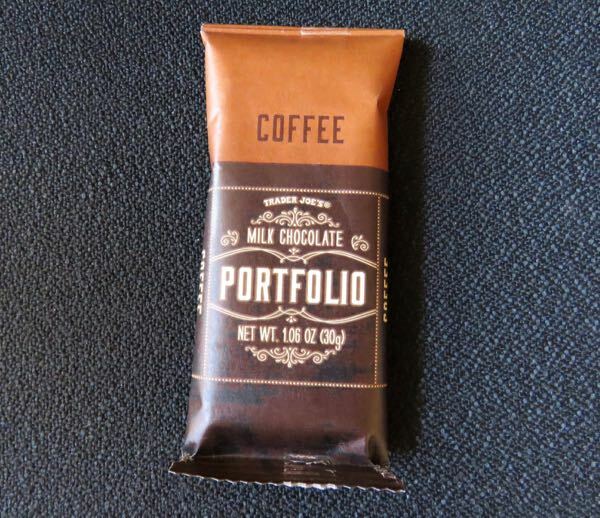 These bars contained no wheat or gluten ingredients, but were made in a shared facility.